Ynet published this week Two combat soldiers journals from the recent battlefield in Gaza. 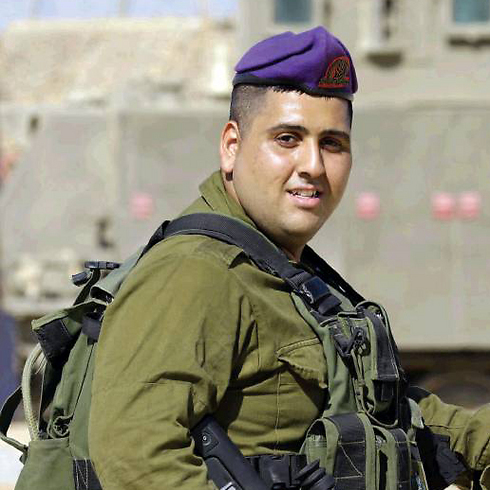 The following is Sergeant Yaniv Tuvitz, Givati Brigade. My verdict is simple -- Israel can't count on its military anymore. The battalion gets scrambled to the assembly area for the first time. There's an air of tension among everyone. There we get an idea of the force with which the battalion is going in – D-9 bulldozers, engineering forces, dog handlers, Sky Rider drones. But we also understand that a ground invasion isn't something to be taken lightly, that the State of Israel is trying to avoid such a step. The talk about a lull intensifies. We speak to our parents and girlfriends from the assembly areas, and somewhat nonchalantly inform them that we'll speak to them again in a few hours. But the picture changes this time, and in an instant. "20:30, everyone on their feet, we start moving," they tell us. Your heart starts pounding. Shouts ring out at the assembly area. They tell us to get into the vehicles as quickly as possible and to be ready to head out. I'm completely stressed and afraid, wandering around among the Achzarits and not really knowing what to do. The first thing that comes to mind is to call home. I manage to get my hands on a phone, but I'm having a major blackout and can't remember the numbers. I call a very good friend from home, a combat soldier too, in the hope that he'll answer and give me the numbers of my older brothers. I manage to get hold of him and he gives me the number of my brother, Yoni. I quickly write it down and say to him: "Love you, wish us luck." He understands that we're both going into the Strip today. I call my brother. He answers, and I say to him, all-a-stutter: "Yoni, you'll hear all about it tonight already. Be with Mom and give her strength; I love you and promise to be in touch." 20:30 – the battalion begins moving towards the fence. We're all in the Achzarit, primed, tense, trying to accept the situation we are here for and that we've been waiting for all the time. The battalion moves forward slowly. 22:30 – we cross through the fence. Everyone realizes now that it's happening and we look at one another. The radio is packed now with the various voices of the commanders. Huge explosions can be heard in the background – the air force and armored corps have started their shelling. The Sky Rider operator is sitting with us in the Achzarit. He moves his aircraft through the sky by means of a computer, conveying various warning to the battalion while he does so. Just then we get a warning about a booby trapped jeep and ambulances they they're trying to detonate against us, and the air force destroys them. A huge blast rings out. I look through the Achzarit's periscope and see a huge flame from the blast. That's the moment I truly comprehend the force with which we entered Gaza. Shabbat in Gaza. We begin the morning with sad and spirit-breaking news. A Golani APC was hit and 12 fighters were killed. Your heart begins to pound. Two friends of mine from Golani went into the Strip, both from the same battalion. I start to feel really bad about them and I am constantly hounded by terrible thoughts. They come and tell us that the Golani Brigade commander was lightly wounded, a deputy battalion commander was killed, and a battalion commander is seriously hurt. We all look at one another in disbelief. Everyone's in total shock. I'm just about to go on guard duty. I'm wound up, looking in every direction with the machine gun and waiting for a confrontation. The fear that Hamas is going to fire an anti-tank rocket at us won't leave me, so I try to think about other things and sing songs. When I come back from guard duty, I head off to rest. Until they wake me. When I get up, it's already evening. It's dark inside the house. The battalion commander shouts that they've received word about a strike planned against our forces by two terrorists, and he asks everyone to be ready for a confrontation. The IDF is intensifying its invasion of the Strip. I've become a little accustomed to the situation I am in – to the fear, the concern for my company, the longing for home. The "battalion commander's house" fills with soldiers who come for an assessment of the situation, and suddenly sniper fire is heard. Everyone hits the deck and lies on the floor. Hamas' attempt is unsuccessful, but the moment is a very frightening one and makes you think this and the other thoughts. In the afternoon, the battalion commander gets a call informing him that the engineering corps has uncovered a really huge tunnel on the outskirts of Rafah – "a tunnel central station." We're to blow it up two hours later. I find time to go to sleep in a corner somewhere; I stink – like everyone else really – and fantasize about a good shower, my mother's food and my bed at home. I wonder when we'll get back to Israel, when we'll get out of here; but suddenly there's shouting in the house: We're told to get our gear on and lie down on the floor because there's a "Purple Rain" alert – Hamas is firing mortars at us with deafening booms. Later in the afternoon I am again troubled by thoughts about my two friends from Golani. Maybe it's them? Maybe not? I only get more stressed. At 02:00 in the night, I go into the house and I'm told to prepare my gear and get ready to pull out, that we're being replaced. At 04:00, the entire battalion is already on its way back to Israel in a convoy. I'm happy, but say to myself: It's not over until it's over. On the drive back to Israel, everyone dozes off, and I'm the only one left awake, aside from the driver and the commander of the vehicle. I need to stay awake and be ready for anything. Some 20 minutes later, the driver slams on the brakes and I ask the commander, "Is there a fence in front of us?" He responds: "Yes, we're in Israel." And then I let out a good deep breath. Now I feel safe. At 08:00 in the morning, my immediate concern is finding a telephone to call my mother. I dial and my hand is trembling. I haven’t spoken to her since Thursday. I tell myself to remain calm and not to fall apart on the phone with my mother. When she answers, I hear such a broken and stressful "Hello." I start talking, ask, "Mom, what's up?" – and she starts to cry. "Mom, how are you? How are you feeling? I'm fine, Mom. We pulled out of Gaza today. Everything's good; I'm alive and well." My mother continues to express herself in tears, and I can't hold back any longer and start to cry too. We're both crying. I say to her in a choked-up voice: "Mom, what about my two friends, Ron and Dor? Tell me it's not them." She says, "Yaniv, everyone's here; your friends are in contact with me. Everything is ok; it's not them. Take it easy." I feel significantly relieved, but continue crying. It’s not easy going into Gaza; the fear breaks you.